Fact: Three college American UCLA basketball players were visiting China during President Trump’s recent visit there. Fact: They were arrested for stealing items from three high-end stores in China. 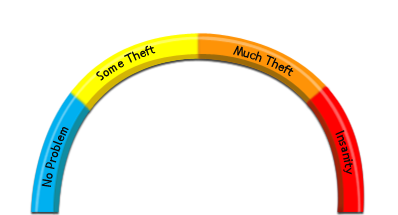 Fact: Stealing in China for centuries has had more harsh penalties for theft than most other civilized countries. Fact: The three basketball players faced a minimum of ten years in prison for their repeated thefts. Fact: From empathy for the three young Americans not realizing the consequences of theft in China, Trump asked the President of China to allow the US to deal with the situation in the United States. Fact: The three basketball players were released and allowed to return to the United States. Fact: All three basketball players publicly thanked President Trump for his influence in their release from many years of imprisonment. Fact: None of the three basketball players apologized for their thefts, or how their actions provided an insult to all Americans in a foreign country. Fact: Their punishment back in the United States consists of not being allowed to play basketball for a short while. Fact: LaVar Ball [a father of one of the three visiting basketball players] told ESPN on Friday, when asked about Trump's involvement in the matter said, "As long as my boy's back here, I'm fine. What was he over there for? Don't tell me nothing. Everybody wants to make it seem like he helped me out.” And, “I'm happy with how things were handled. A lot of people like to say a lot of things that they thought happened over there. Like I told him, 'They try to make a big deal out of nothing sometimes. '“" Fact: Trump responded, "Now that the three basketball players are out of China and saved from years in jail, LaVar Ball, the father of LiAngelo, is unaccepting of what I did for his son and that shoplifting is no big deal. I should have left them in jail!" This is an example of part of a culture that did not assimilate into the American ‘melting pot’ culture. It does not abide by many of our laws, and at the same time assumes that hard-earned American strength is expected to defend them as Citizens no matter what they try to steal anywhere on the planet. Stealing at home is considered a ‘given’ to them, largely tolerated without much punishment because of a minority status. This MOT Poll Ballot weighs the theft allowed by Government to some minorities as being not very important, which detracts from perceived American empathy, compassion, fairness, and integrity that have played a large part in the advancement and contentment of most peoples on the planet.